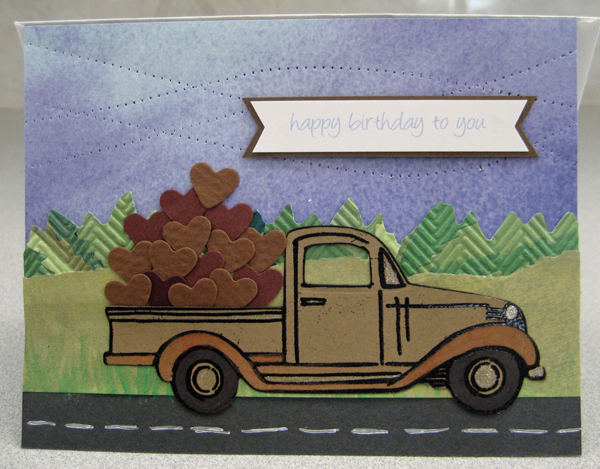 For my January class I created card kits that featured little truck die cuts. It is a set - stamp and thinlit die combo from Stampin UP which my sister owns. I was visiting a few weeks agon and cut a few more red trucks. 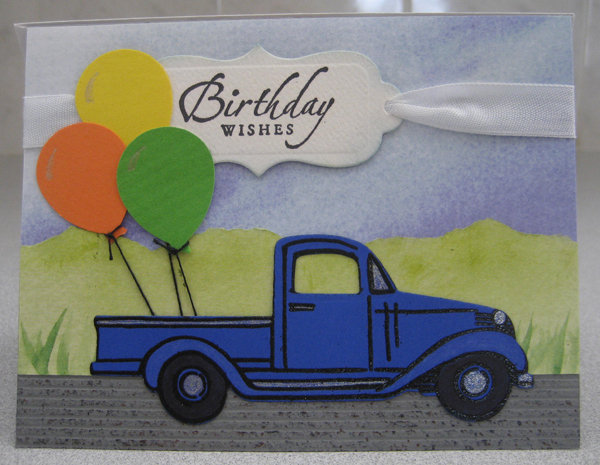 I really like these little trucks though with the card kits the layouts have all been very similar. Black or gray cardstock to which I have added a white line to simulate pavement or stipple stamped to simulate a dirt road. I added some green grass with watercolour to the torn green layer of two of these and like how that looks!! I added a layer of collaged, embossed die cut "grass" to the bottom one and I like that a lot. Looks like a tree line. 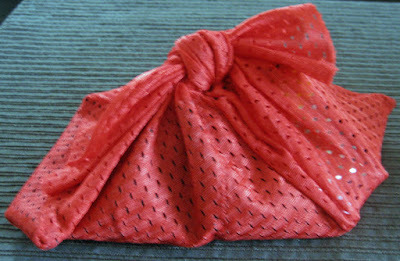 I used balloon punchies with thread strings on the first two and added a load of hearts to the last one. I chose the greetings from my stash so made them a bit different with bakers twine on one and seam binding on the other and a totally different flagged greeting on the last one. I added some lines of piercings with my pattern tracing wheel on the last one to add some texture to the sky which I like a lot. The trucks all got some clear glitter gel pen on the lights, windshield, hub cabs, running rails and front bumper which adds some sparkle. On the last one I added some watercolour to make the truck two tone which really adds some interest to it. 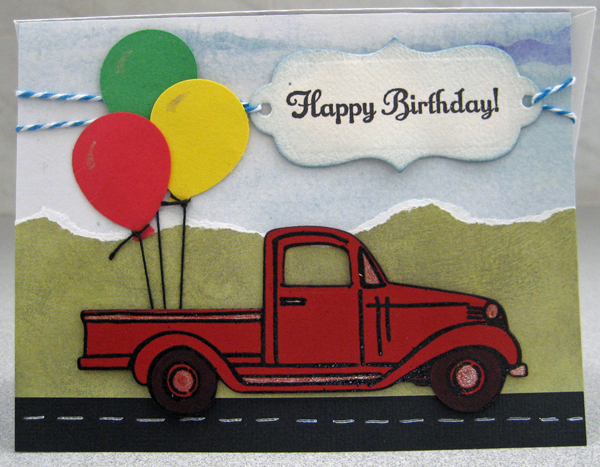 I have cut LOTS more little trucks - mostly red ones but I am glad I did cut a few more different colours to add a bit of interest to the next set of cards. I will have see what other layouts have been use with this little truck to see if I can change things up a little. I have used a few others things in the back of the trucks so I expect I can find a few other fillers which will change things up as well.